At Gwen Miller Golf Academy, we believe golf fitting is a critical step towards improvement. As a Certified Master Teacher Club fitter through Henry-Griffitts, we have the experience to precisely address your needs. Using the HG Total Test™ system, the correct combination of all golf club equipment can be tested, resulting in the most enjoyable and precise experience a golfer can have. ​Gwen Miller will help you select the clubs that feels as if they are made especially for you. Nothing is as valuable to your game like a custom fit set of clubs. Every golfer is a bit different in size, body shape and the shape of their golf swing. Hence, we fit your new golf clubs specifically to your measurements. 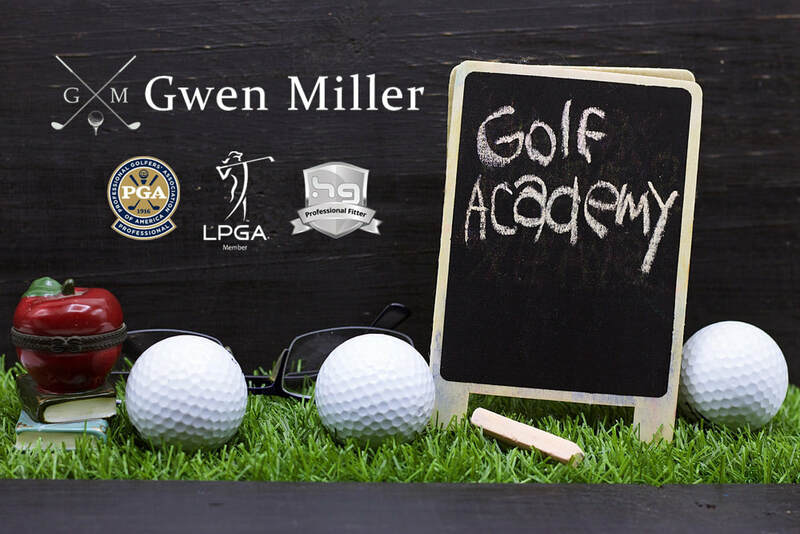 Interested in Gwen Miller Golf Academy?